I'm supposed to be on a spending ban until after my holiday, but after spotting these babies in Superdrug for £4.99 each, I totally couldn't resist picking them up. I know, I'm a bad girl. I chose a blusher, bronzer and highlighter and all three of them are totally beautiful. Let's see some swatches! So whenever I have a beautiful product which gives a lovely swatch, you can almost guarantee that it won't show up on camera. It's sod's law really and the total blight of the beauty bloggers, but I've tried my hardest with the below swatches to make them look as good as possible. 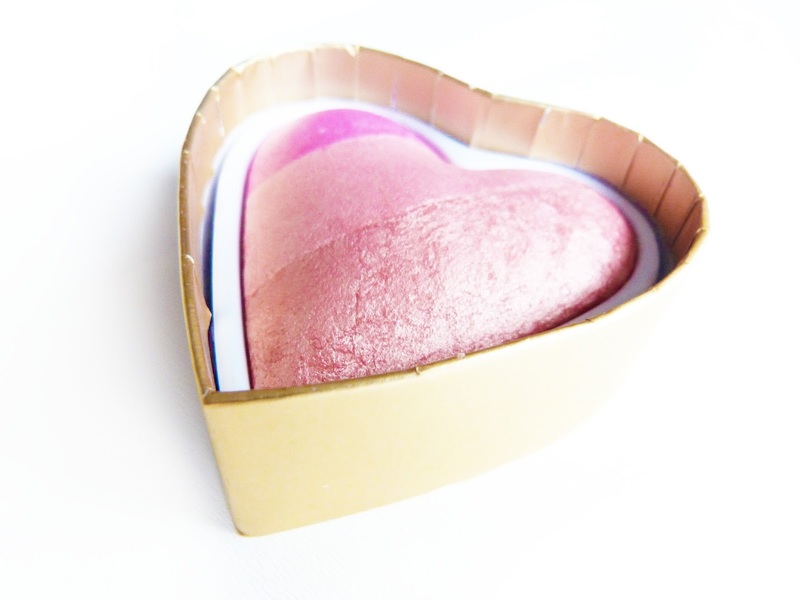 All the hearts are triple baked, but the only one with three obvious shades is the Candy Queen Of Hearts blusher. It contains a light pinky-purple, a pale pink and a rose gold shade. 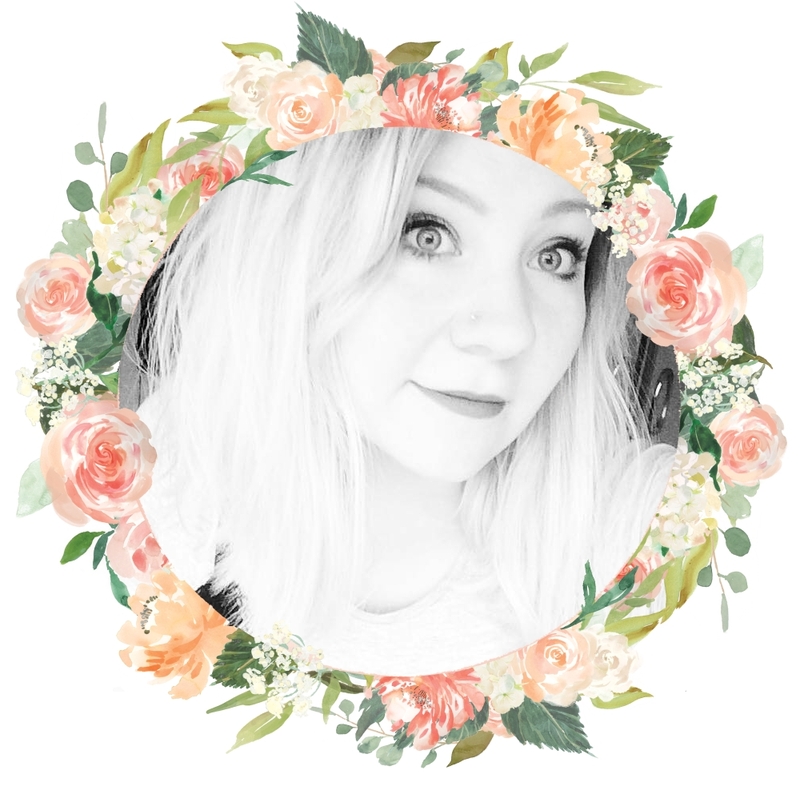 The highlighter is named Goddess Of Love and the most shimmery, gorgeous champagne highlight. I loves it. I already own a Makeup Revolution Highlighter in Peach Lights, however this one is a lot less pink and more golden. Just look how angelic it looks in the above photo, I adore it. 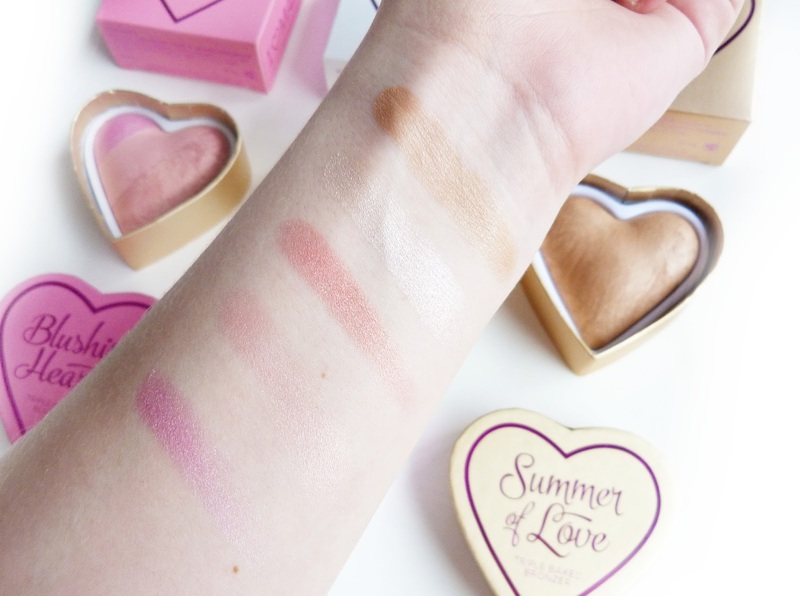 The bronzer, Summer of Love is truly fabulous light bronze shade. It's crazy-pigmented compared to the blusher and highlighter and I can't wait to start trialling and reviewing it fully. 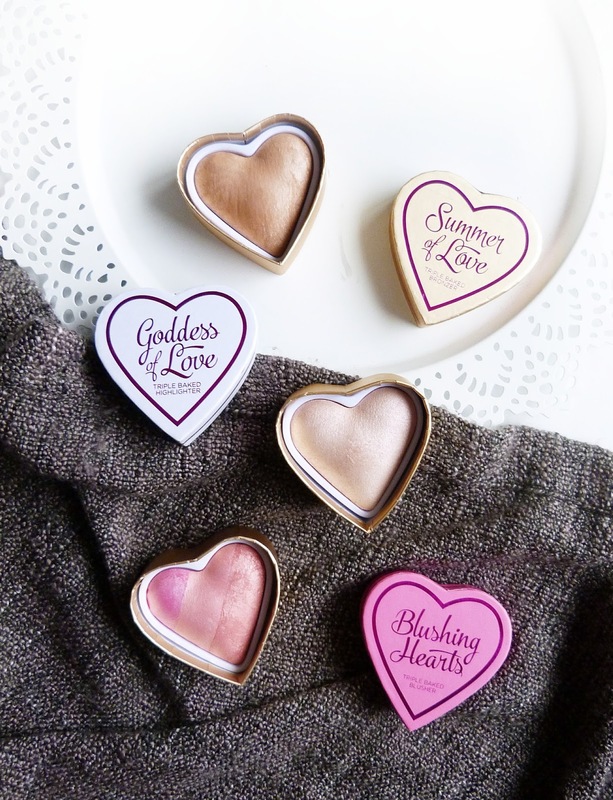 As this isn't a full review and just a first-thoughts post, I won't go into the quality of the Blushing Hearts collection as I have literally only just bought them! 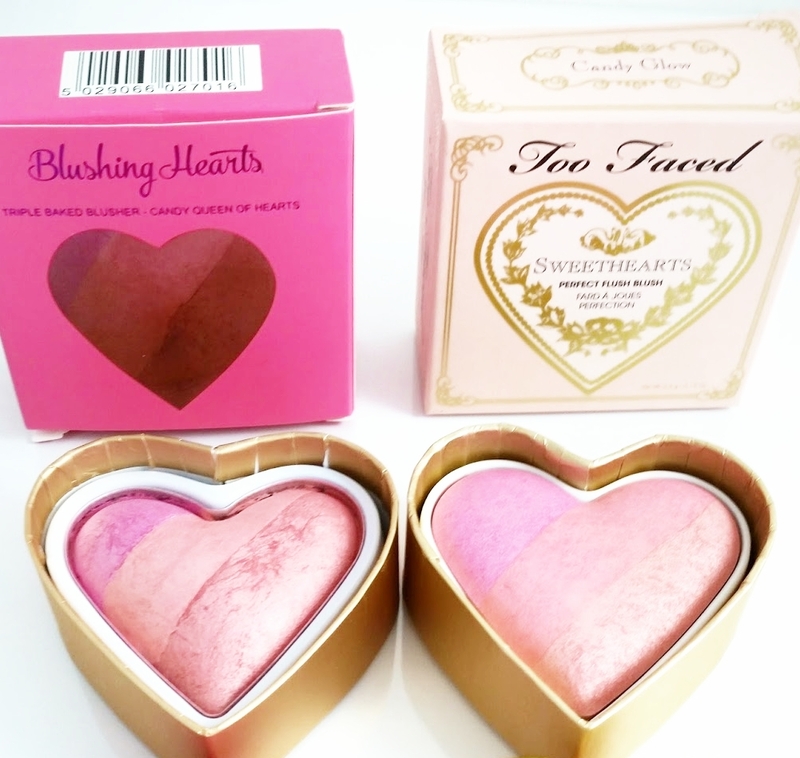 However Candy Queen Of Hearts is rumoured to be a dupe for the £24 Too Faced Sweethearts Blush in Candy Glow. From just looking at photos of them both, this totally looks to be true. The photo below shows a comparison of the two and has been used with permission from Jen at The Budget Beauty Blog. Thanks Jen! 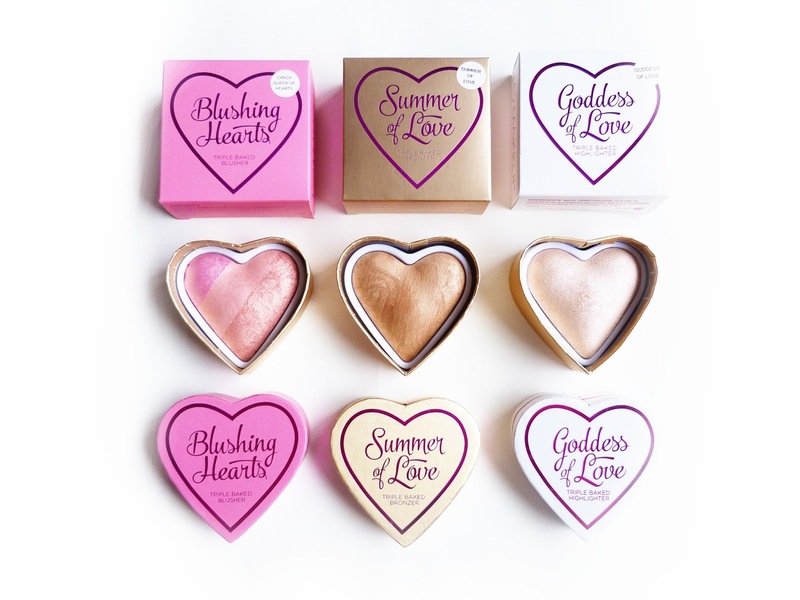 Which full Blushing Hearts review would you like to see first? Blusher, bronzer or highlighter?